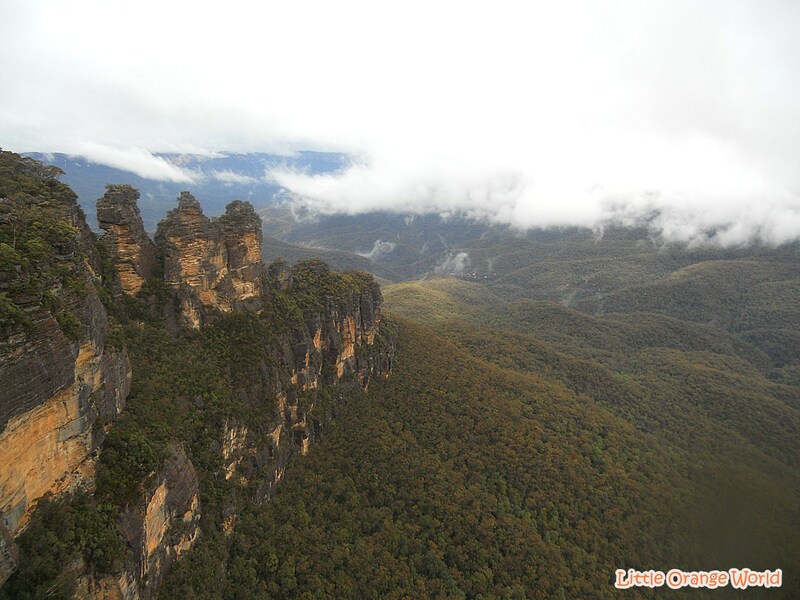 I think from now, it will be hard for me to forget about what happened a year ago in Blue Mountain, the same way I celebrate my birthday each year, I’ll commemorate October 12 every year as one of my bravest and most reckless moment in my life, a sequel of our trip to Australia. 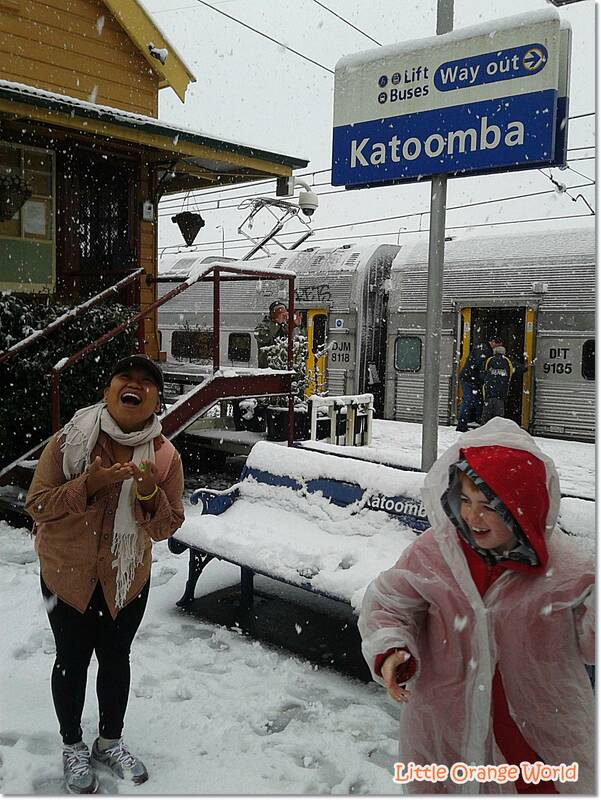 It has been one year, but the memories last, especially how we were trapped in unexpected snow at Katoomba and we were struggling to make our way to its main attraction, Three Sisters at Echo Point while the others turned their back on it. It was started in one rainy morning, with a fully charged spirit, Ana, Liz, and me woke up early, prepared hurriedly, and then directly made our light step to King Cross Station. 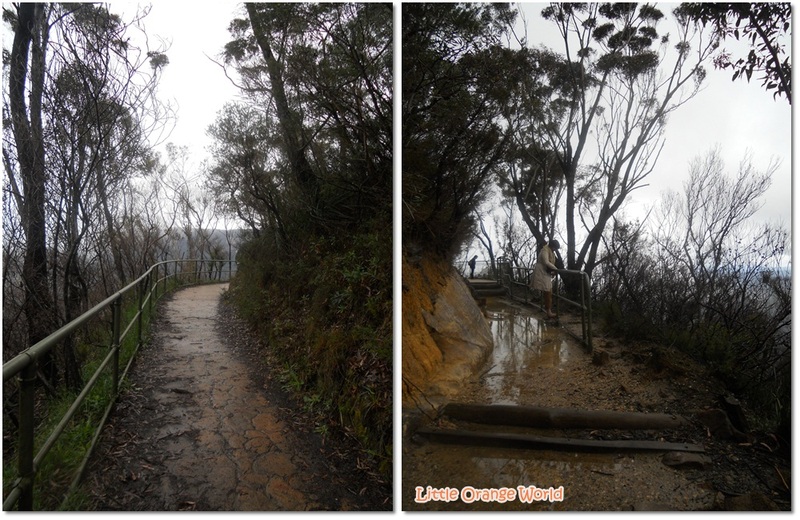 Our destination was Blue Mountain, Katoomba. Even though the rain had been pouring down since the early morning, we didn’t change our plan. 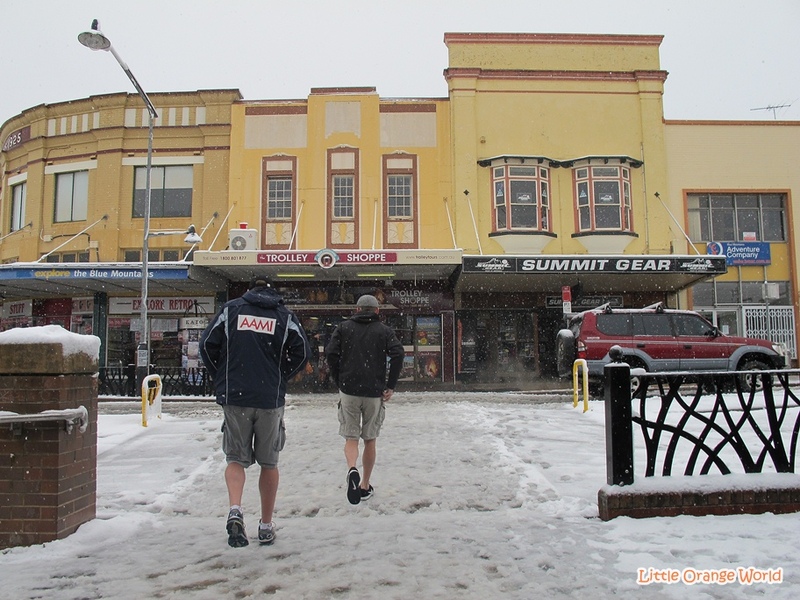 We naively hoped that Katoomba would have had a bright blue sky without even bothered to see the weather forecast. About 5 minutes walked to station, 20 minutes dazing off because of our recklessness and ignorance (we didn’t have any idea at first if we could take a direct train to Katoomba without changing it at Parramata Station), few minutes being stuck at the entrance of platform because none of us had any idea how to use our ticket and being target of angry stare from a handsome man with a beautiful blue eyes who queued up behind us. Ignoring him, we tried our best and finally we made into our platform with “Blue Mountain Line”, hop on to train, took our seat nervously, and waited the train’s schedule. As the train made its move, the sky slowly were getting clearer and our hope for an amazing adventure was aroused again. 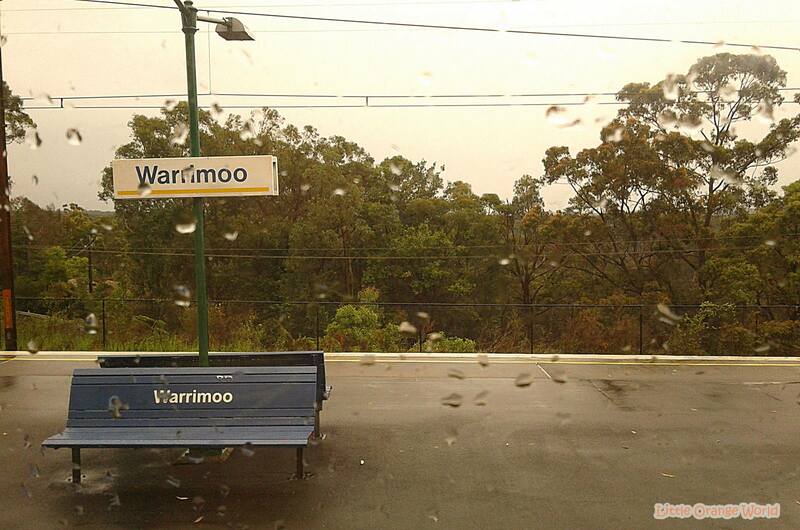 But, it didn’t last long because when we reached Warrimoo, the rain drops started pouring down again. When it was getting harder, suddenly Ana said a little pray for snowing, followed by me who being disoriented; for snowing or bright blue sky. I thought it would have been nice if the rain drops turned in to snowflakes since I’d never seen any of it before in a real life, but in other hand, i really wanted to prove the beauty of Blue Mountain as being advertised by it tourism site. I was really disoriented. 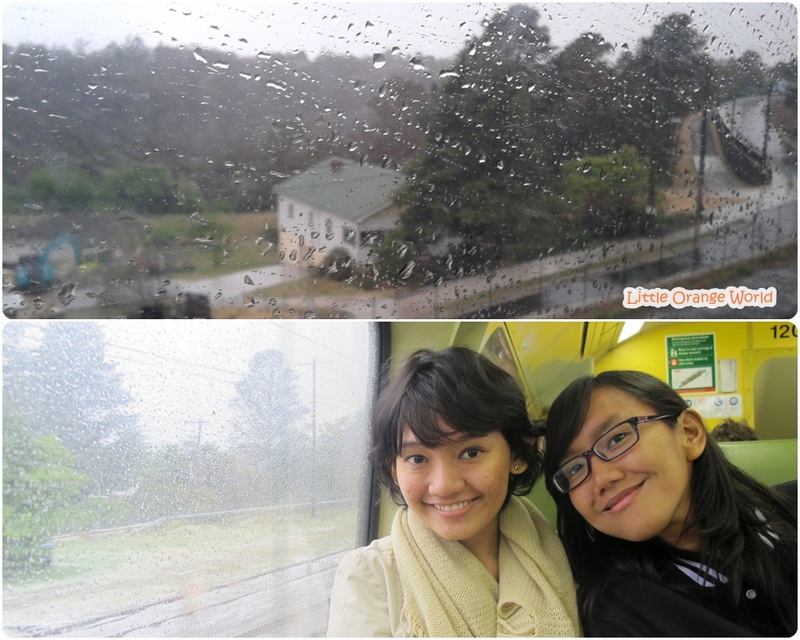 In my bewilderment, suddenly our coach turned into commotion, the passengers were uttering, “snow”, and then i looked closely through the train’s glass window and yes, the rain drops were turning in to snowflakes. There, the other problems just appeared. First, our clothes, from head to toe didn’t support for weather that even could turn water in to ice. 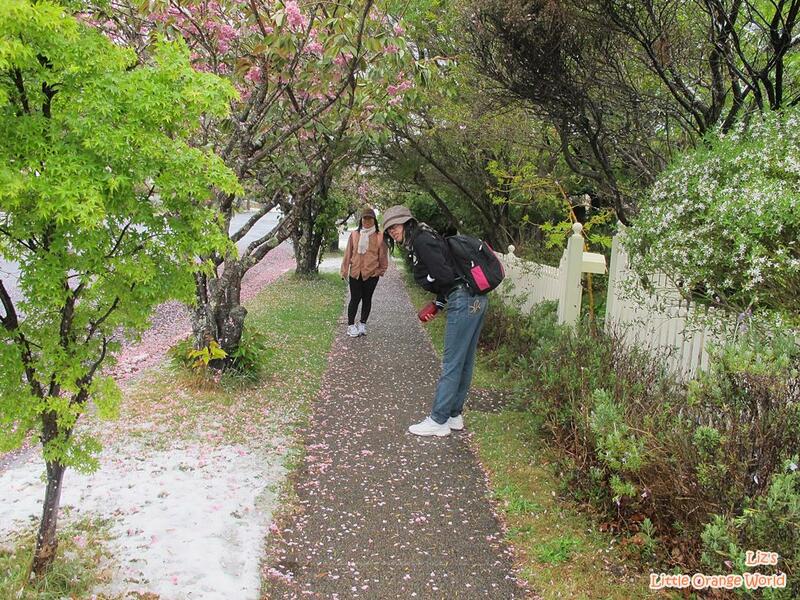 Second, our plan was to enjoy walking tour in Katoomba and the scenery of Blue Mountain, not ice skating. 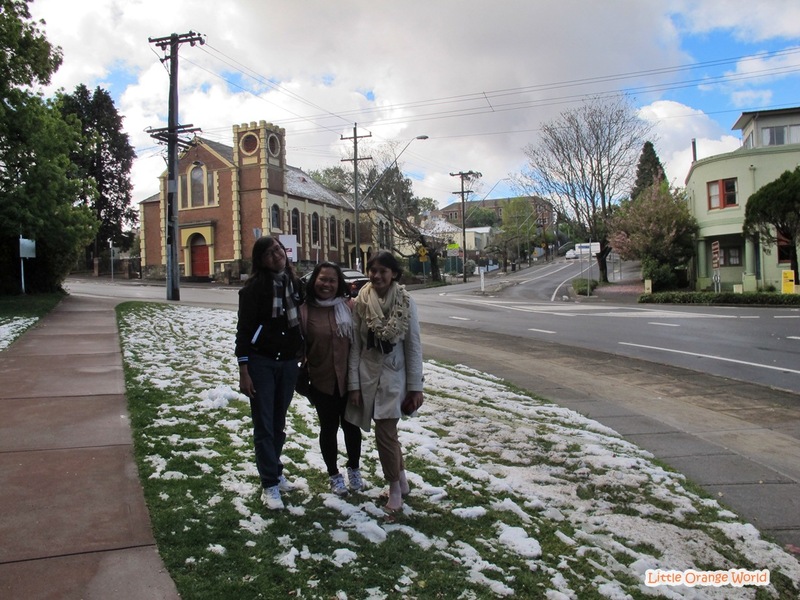 When we arrived at Katoomba Station which was built at 1881, instead of being upset, we were suddenly happy by the view of snow that covered most of the road. So, in the end we decided to continue as our first plan even though we couldn’t make all of it, we had to reach at least echo point, Three Sisters. So, there we were, recklessly continue our “walking tour”. 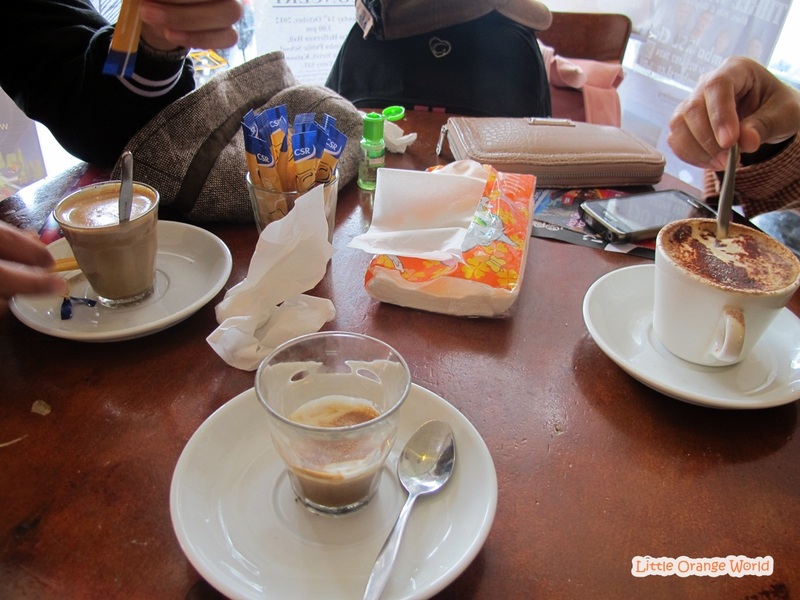 Based on my handy map, we had to walk about 3 km from station to Echo point, but we even had not reached half of it, when we had to stop at a nearest coffee shop because we couldn’t take the cold weather anymore. We not used to it. Applying a warmer oil all over our body, used all the clothes that we had, and cover our shoes with plastic bags so it wouldn’t get wet badly (i don’t have any proves how bad we looked because Liz didn’t allow us taking any of our ‘fashion killing’). 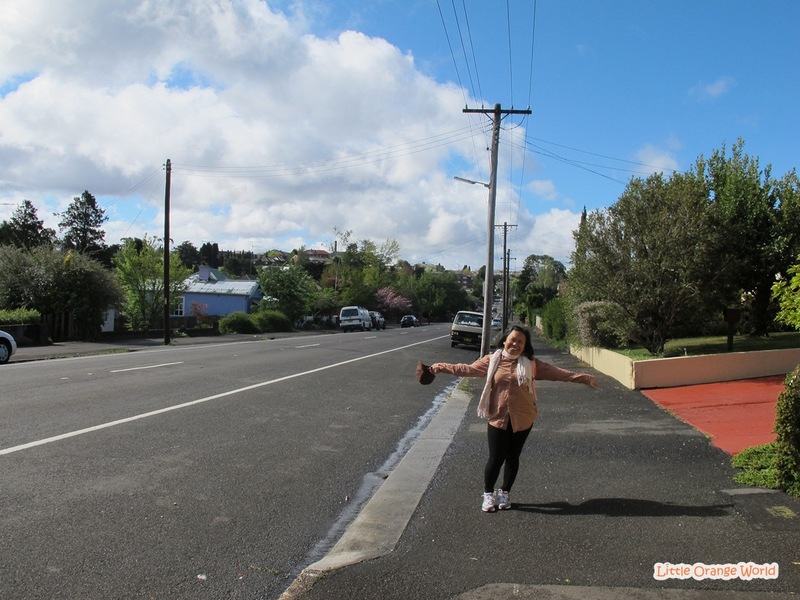 With re-refreshed spirit and new winter spring fashion, we walked the walk, maintained to get to our destination, trying our best to enjoy the lonely road, while our body shivering so much. And Thanked God after one hour of walking, when we were so desperate and almost lost our hope of seeing how that Three Sisters looked like, suddenly the rain stop, the sky was showing its blue color again, and our smile re-appeared. And then, in another one hour, finally our unbelievable efforts were paid. 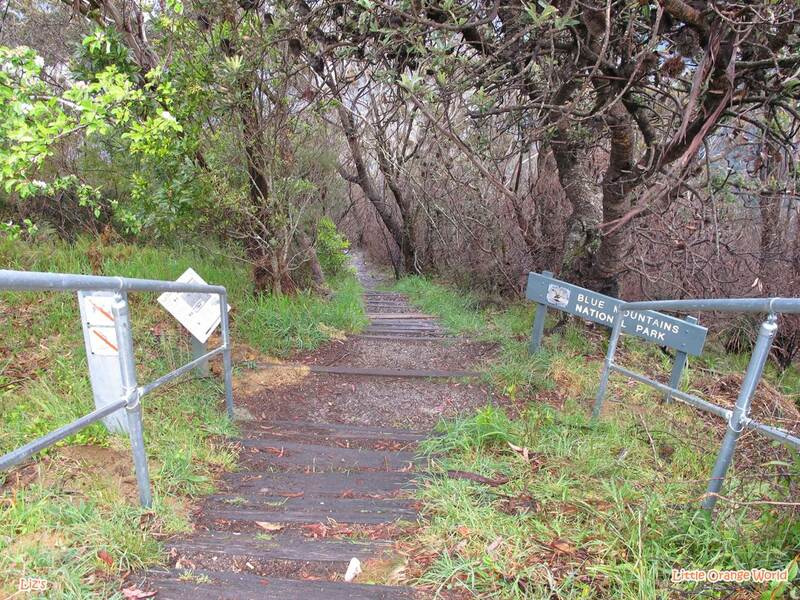 We reached the Echo Point, Three Sisters site. Without wasting another time we took our picture in every possible angle (like usual), felt the fresh air of Blue Mountain, enjoy the visible scenery, relaxed our stiff muscles, and we even scream out loud to release our despair (there were only three of us, though, no others). Fully re-charged, we made a move. 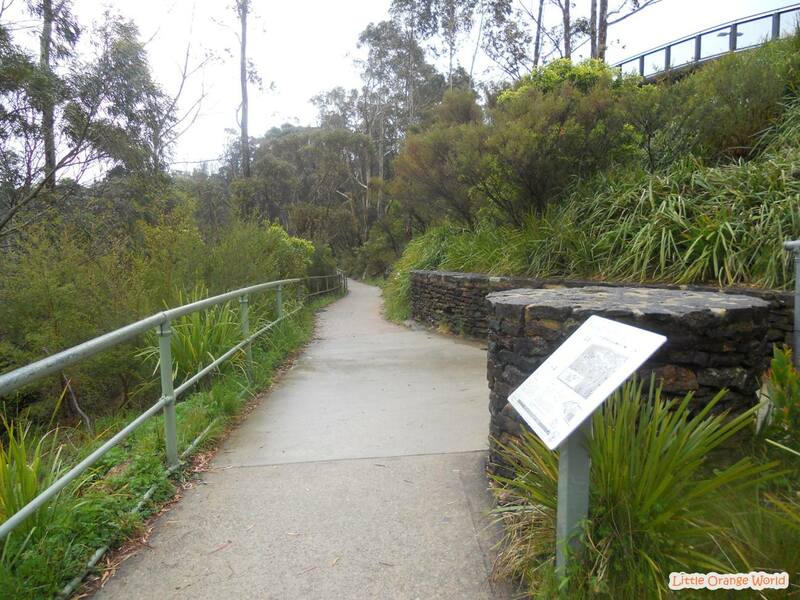 There are many bush walking tours in Katoomba, but we were not allowed to take the hard route, we took ‘Prince Henry Cliff Walk’ with stop at Kedumba View, and Lady Darley Lookout. Our routes, look at the right picture, those were Ana and Liz. Great Fight spirit. Fed our lungs enough with the fresh cold air of Blue Mountain, we turned to northern where the route was getting steeper. 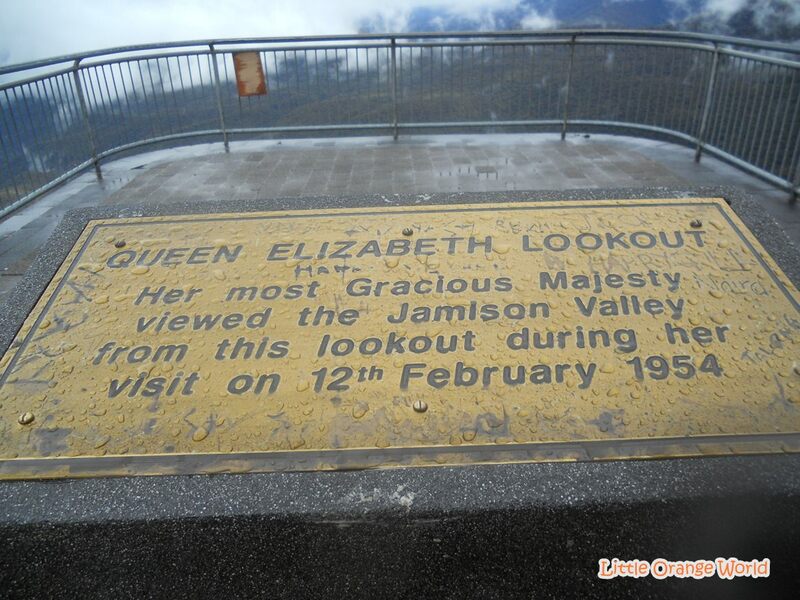 When we reached its peak point, we could see almost full view of Blue Mountain, such beautiful scenery. Finally with a grateful heart; because we got through the storm and made it at least to that point, we made our way back and the bright blue sky of Blue Mountain accompanied us. Even though we skipped so many points, the Blue Mountain trip is one of our unforgettable journey and i especially proud of Ana and Liz, as for me, i used to that kind of trip (snow doesn’t count), but for city girls like them, it was such a great achievement. I was thankful because they pushed their limit, so we could make it. Last, can you spot the differences before and after storm? Our messy hair, mismatched dresses, and our pale faces. Ow, thank you, i’m glad to we could make it 😀 AND especially the snow :D.
Kekekekek, if i only i could upload how our shoes looked like 😀 :D, it would be fashion terror. LOL. Thank you so much. i love the view too. So, i’ll take it as our anniversary. Well, good to celebrate, whatever the reason. Nope – you also get red kangaroos and grey kangaroos. Red kangaroos and gey? oh, i think i missed kangaroos type that time. Yuna that was awesome. It’s strange to see photographs of you standing in the exact spot where I was only an hour ago. Your photography is amazing. You really captured that snowy day in October. I remember it well, and it was exactly as you say. The rain turned to snow, then the sky turned blue and the snow melted away so quickly it was hard to believe it had ever been there. 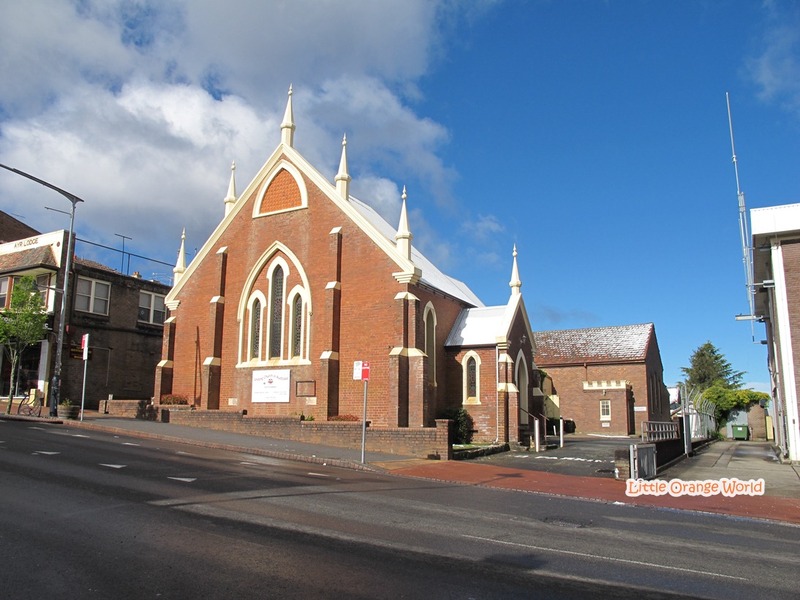 It is 8 degrees celsius in Katoomba today, the sun is shining and the sky is blue. i can imagine how beautiful sky and refreshing the air there. 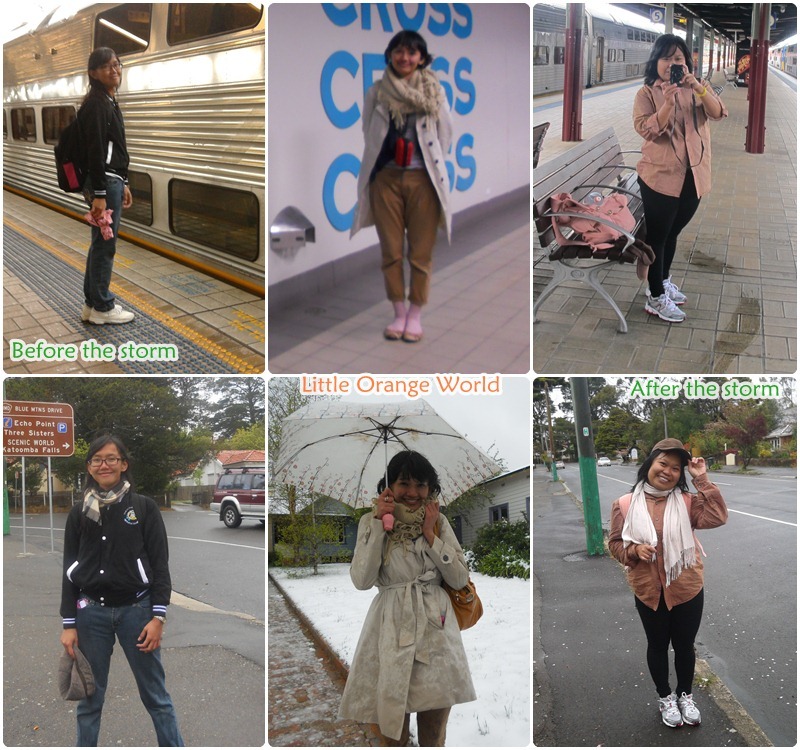 if i could have a trip again to Australia someday, i really want to go to Katoomba again and do the things i couldn’t do back then ;D.
My friend Yuna from Indonesia was visiting my home town during a rare October snow fall. 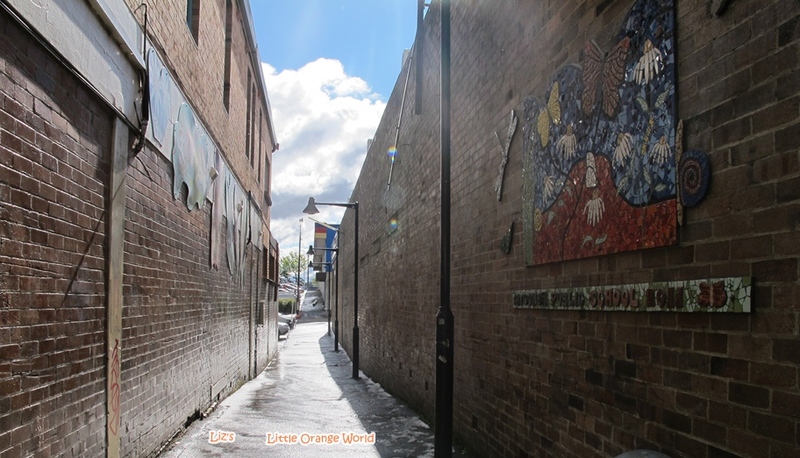 I loved reading about the place I live from a visitor’s perspective and her photographs really capture the essence of Katoomba. Thanks Yuna! So true. It was beautiful up there. In addition to the amazing view of the blue mountain, I really do adore the cute resident’s house as well. With all flowers bed in front and cottage like patio..it was like living in storybook . 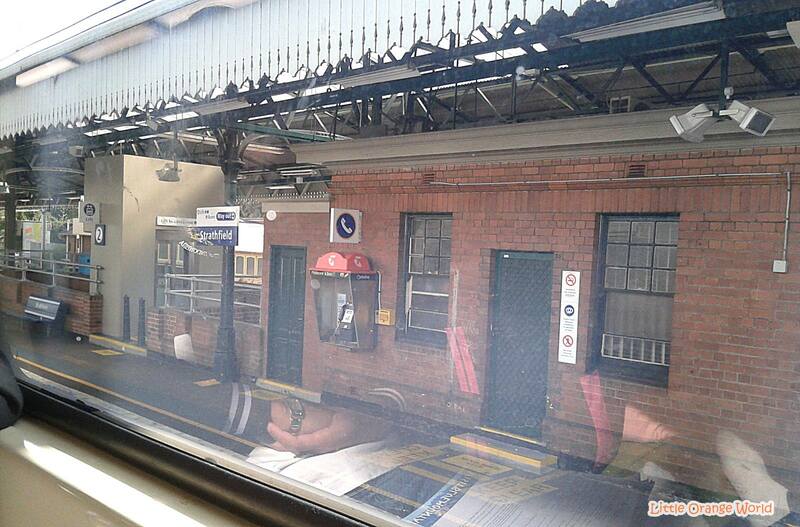 And katoomba town is really cool. The shoplot and coffee shop..looks so inviting and comfy. P/s : happy birthday to you !!! 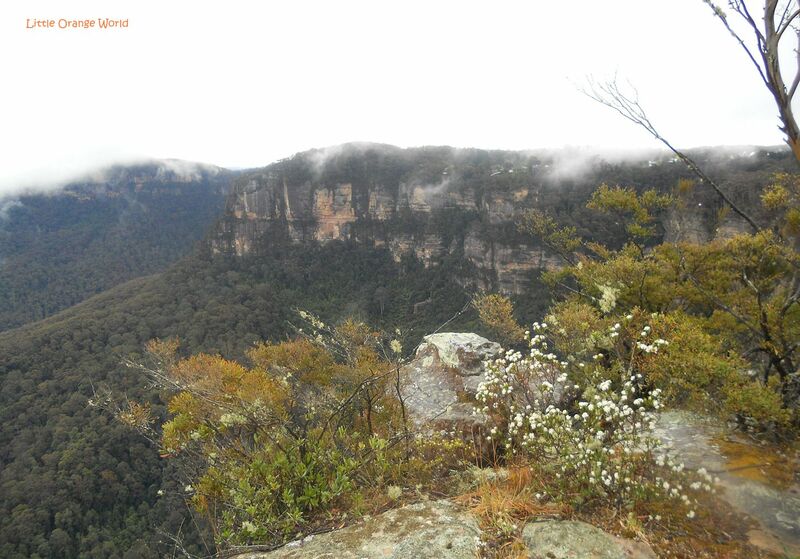 I love the Blue mountains, stunning. And your story is so very cool. I like a new perspective on something I know. Me too, i love it, the view, the road, the houses, the garden, and the air. Hello, my friend! 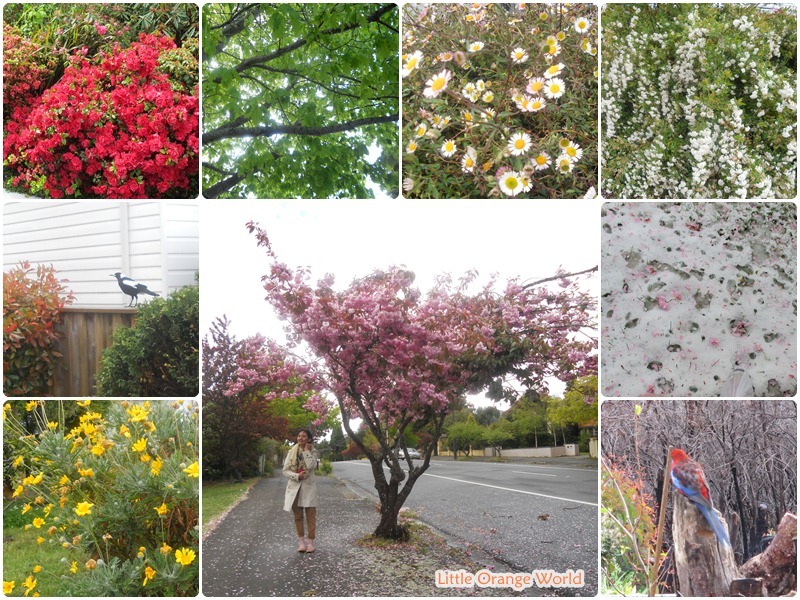 I have been so busy and I am trying to catch up with my blog visits. We have not talked in awhile! This sounds like it was a wonderful trip -you are so fortunately to live so close to Australia. I’m hoping I can go someday, but it is VERY far.The plane ride can take up to 24 hours! I laughed about the snow. 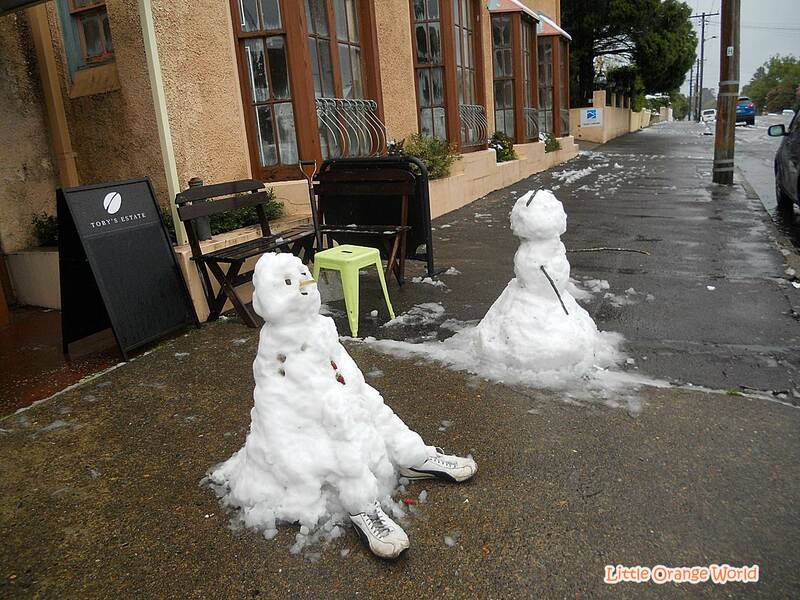 I’ve grown up with snow, and yes, it get’s cold! How wonderful for you to experience it for the first time. Nice to have some friends to talk again. yes, that was a wonderful trip and I’m so happy while thinking about that trip. 24 hours is really far. it took about 10 hours by plane from my hometown. we have different problem issue for going to Australia; when yours is the distance, mine is the financial issue because our currency is very far from Australian Dollar, it needs time (for saving more) to go there again :D. but, i even enjoyed the “collecting money time” 😀 😀 :D.
Laugh i good for our health, so i like it when you can laugh about this :D. Honestly, once or twice or so many times, when my friend and i talked about it again, we were having so many emotions; amazed, grateful, happy, happy, happy, and happy. We forgot how bad we were :).